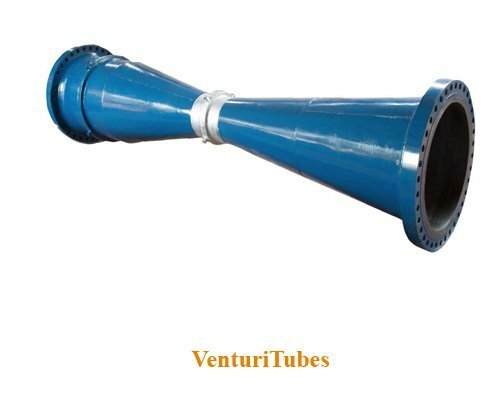 Venturi Tube Manufacturers: Manufactured at Goa plant, General flow elements are designed and engineered to meet process requirements in worldwide industries – largest chemical, petrochemical, oil and gas, refineries, fertilizers, metal and food, beverages, cement, pharma, OEM clients and many more. Venturi Tube Manufacturing is designed in accordance with international standard ISO 5167. Forged flanges offered based on international standards ANSI, ASME, DIN, JIS, BS, API, etc. This is a classical Venturi tube manufacturing fabricated as in which the convergent section is machined as are the throat and the entrance cylinder. These classical Venturi tubes manufacturing can be used in pipes of diameter between 50 mm and 250 mm and with diameter ratios β between 0,4 and 0,75 inclusive.